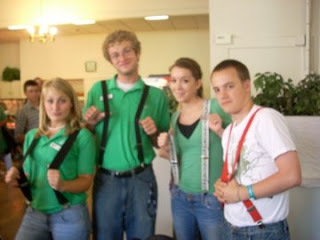 For all those who don't know, Friday's at EFY in Virginia are Suspender Fridays. I have taken that day and applied it to my life. This past Friday, was the first time I could do it. I think I need new pairs. But. I did it...for half the day at least. .the philosophy of egg throwing is accurate. 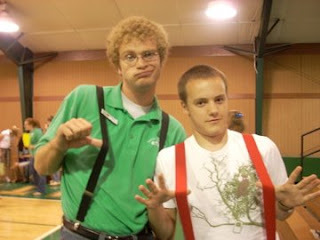 .this guy, the curly hair guy is a master.